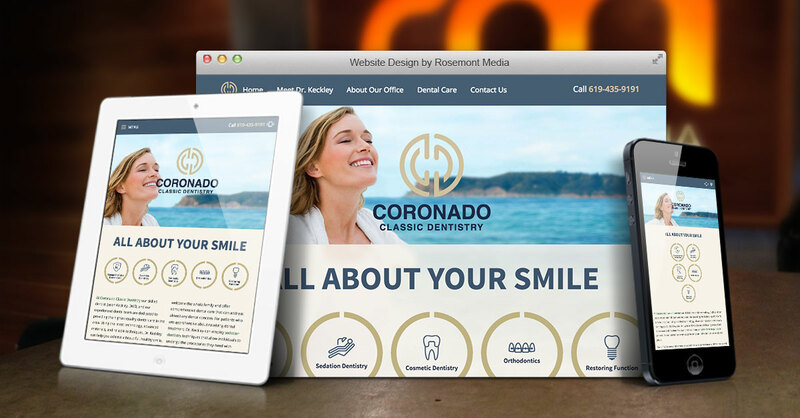 Coronado Classic Dentistry unveils a custom website combining simple navigation elements, clean design, and comprehensive dental resources to deliver an optimal user experience. Coronado, CA – Recently, Coronado Classic Dentistry launched its elegant new website. For San Diego dentist Jason Keckley, DMD, creating a state-of-the-art site that catered to the unique lifestyles and dental concerns of his patients was an integral step in establishing and promoting his practice. Together with the website development and marketing team at Rosemont Media, he chose to incorporate many innovative features, such as responsive design, intuitive navigation, search engine optimization (SEO), and an educational blog to ensure his website would deliver a high-quality user experience for his visitors. With input from from Dr. Keckley, the design team at Rosemont Media artfully composed a relaxing coastal backdrop reminiscent of Coronado’s scenery, which is complemented by a soft navy and sand color-scheme throughout. Functionally, the new website for Coronado Classic Dentistry performs optimally, especially for those who enjoy a simplified and intuitive browsing experience. The responsive design of the site allows it to display correctly whether visitors are accessing it from a smartphone, tablet, laptop, or desktop computer. In any of these formats, custom content about the wide range of comprehensive dental services offered at the practice can be easily located. Furthermore, logistical elements such as patient forms, call buttons, and email contact fields are featured prominently to provide visitors with a virtual portal to the practice. For viewers who want to learn more about Dr. Keckley, his office, his team, and his practice philosophy, the website also contains content that explains all aspects of the practice, including an office tour. Dr. Keckley is proud to provide a full spectrum of preventative, cosmetic, and restorative dental treatments to help his patients achieve the healthy, confident, beautiful smiles they desire. His website reflects his dedication to quality classic dentistry and adoption of advanced techniques and effective technology to deliver superior results. Ultimately, Dr. Keckley hopes his website attracts patients from throughout Coronado and San Diego who are looking for an experienced dentist that can comprehensively address their needs with superior results. Before he became a dentist, Jason Keckley, DMD proudly served in the U.S. Marine Corps. After being honorably discharged in 2002, he decided to enroll at San Diego State University and earned his BS degree in 2008. He went on to pursue his dental degree from Midwestern University, receiving his Doctorate of Dental Medicine in 2012. Dr. Keckley is committed to furthering his knowledge of a variety of advanced procedures and treatments, and he has attended many private continuing education courses on the topics of implant dentistry, clear aligner orthodontics, and sedation dentistry techniques. 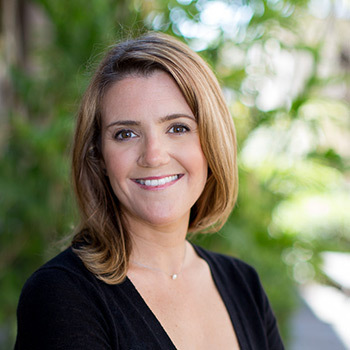 In addition to being the lead dentist at Coronado Classic Dentistry, Dr. Keckley is active in several prominent dental organizations, including the San Diego County Dental Society, the California Dental Association, and the American Dental Association. For more information, please visit dentistcoronado.com and facebook.com/dentistcoronado/.